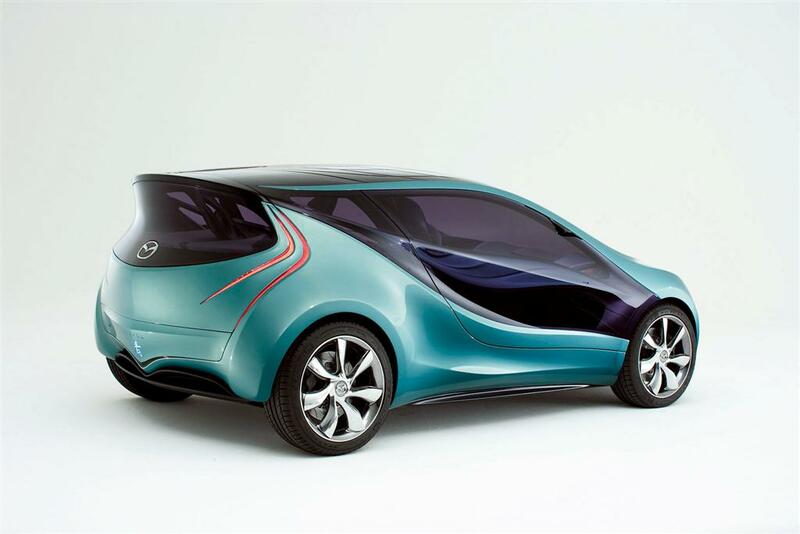 In recent days, Japan's major automakers have been releasing details about the concept cars they plan to unveil at the upcoming Tokyo Motor Show, which will be held from October 24 to November 4, 2009 at Makuhari Messe near Tokyo. Environmental friendliness appears to be the common theme. 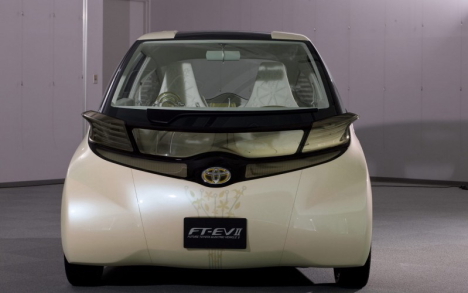 Toyota will debut the FT-EV II, an ultra-compact electric vehicle. With a range of 90 kilometers (56 mi) and a top speed of around 100 kph (62 mph), the FT-EV II -- which stands for "Future Toyota Electric Vehicle II" -- is designed for short-distance urban driving. Despite the vehicle's tiny size, there is seating for four inside. 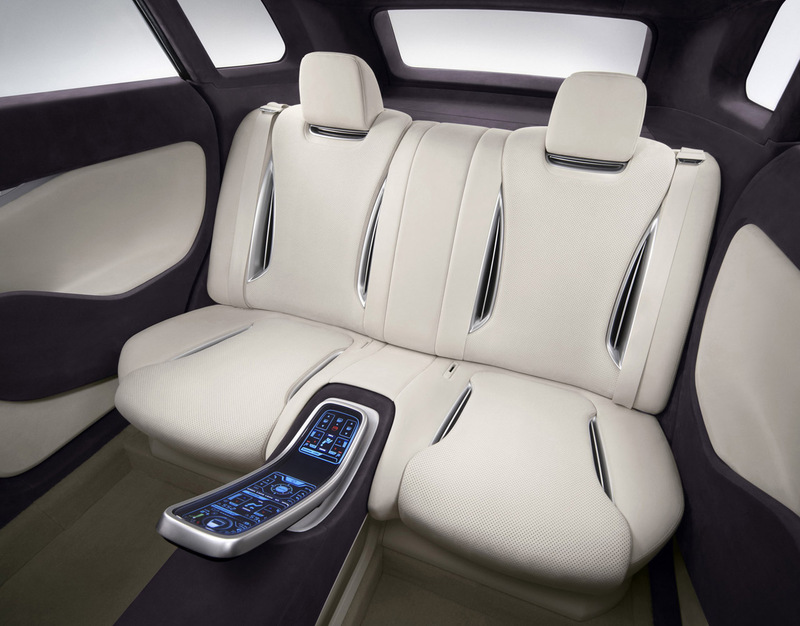 The designers were able to free up interior space by removing items found in traditional vehicles, such as the brake and acceleration pedals, which have been replaced by joystick controls. 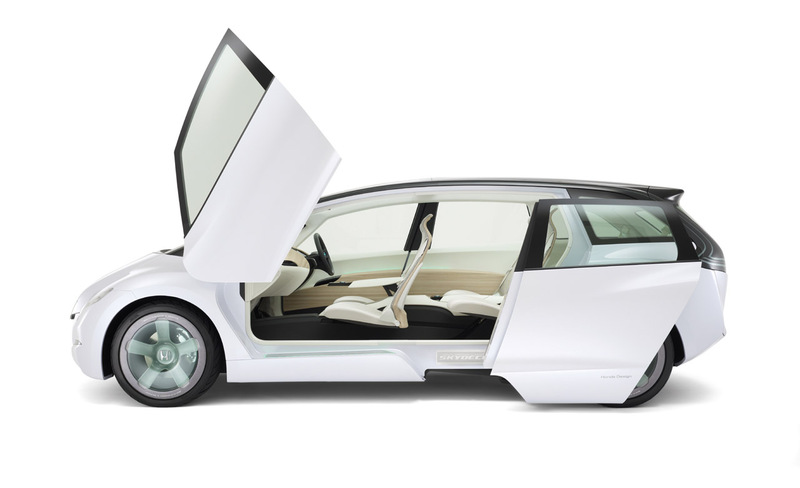 Other features include a dye-sensitized solar panel, electric sliding doors, and a retro-futuristic interior. By incorporating a variety of communications functions into the dashboard, Toyota aims to demonstrate how the electric vehicle might function as a powerful information device in the networked society of the future. 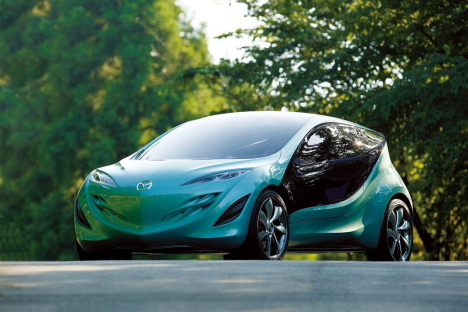 Mazda plans to exhibit an updated version of the Kiyora, a compact and lightweight concept car first unveiled in 2008. 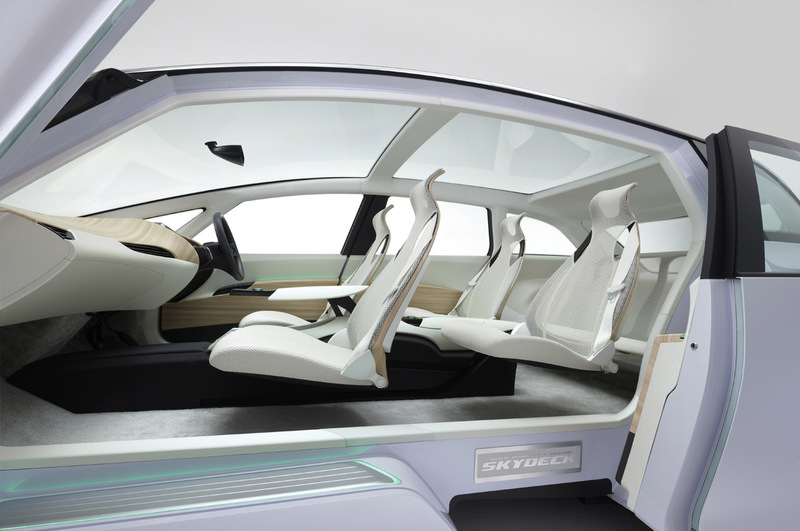 Honda will debut the Skydeck concept, a six-passenger hybrid minivan featuring a strikingly odd combination of doors. 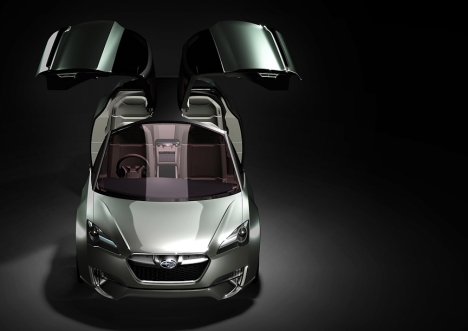 The Skydeck is equipped with scissor doors up front and a sliding door on the side. Other features include an all-glass roof, translucent green wheels, and a minimalist interior with center-mounted floating seats. 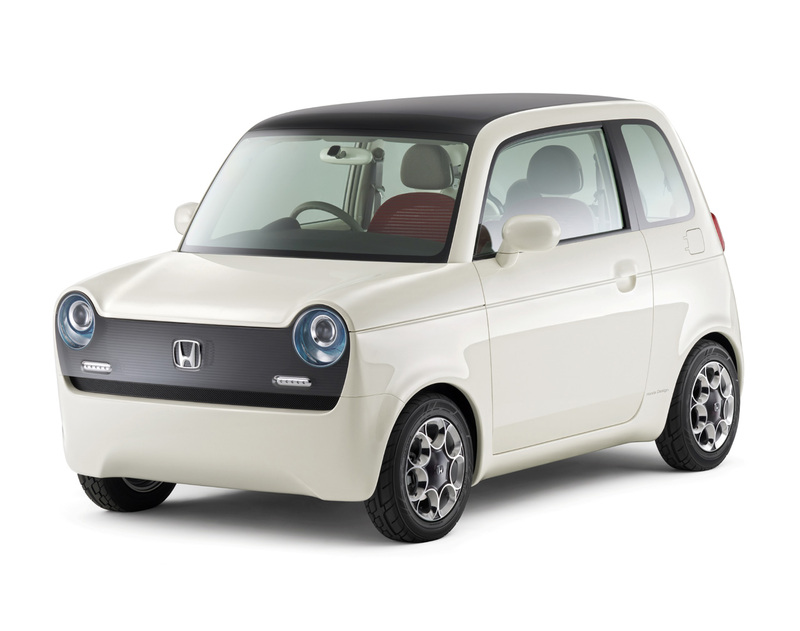 Honda's EV-N concept, which looks like a 21st-century version of the classic Honda N600 of the late 60s and early 70s, has a solar roof that charges the battery-powered motor, interchangeable seat fabrics, and a car-to-car communications system in the front bumper. 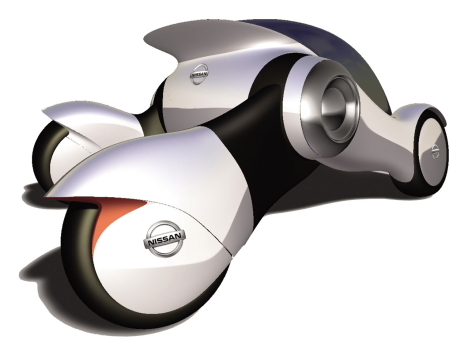 The 10-kilogram (22-lb) U3-X is a self-balancing unicycle equipped with Honda's state-of-the-art omni-directional wheel system. 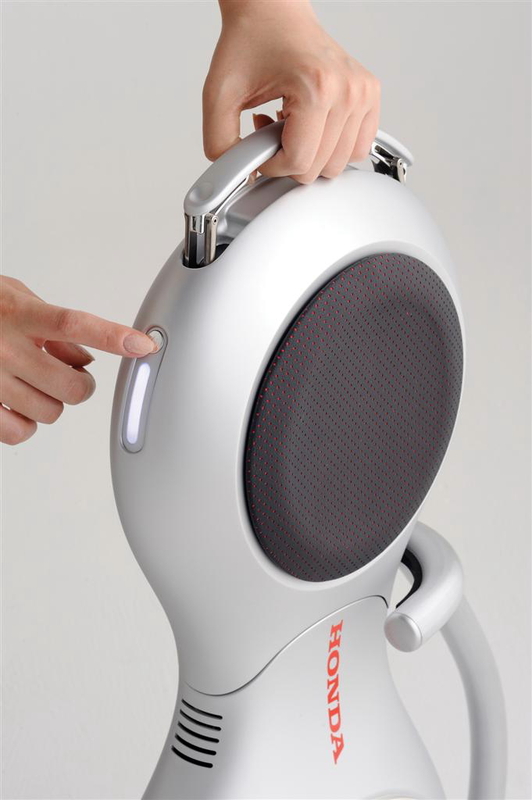 Using the latest in balancing technology obtained from Honda's ASIMO robot, the U3-X is capable of detecting slight changes in weight shift and adjusting its directional path accordingly. By leaning, the rider can steer the U3-X forward, backward, side-to-side and diagonally, as seen in the video below. 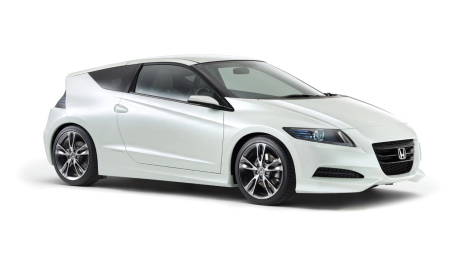 Although Honda still calls it a concept car, the CR-Z hybrid hatchback is slated for production early next year in Japan. 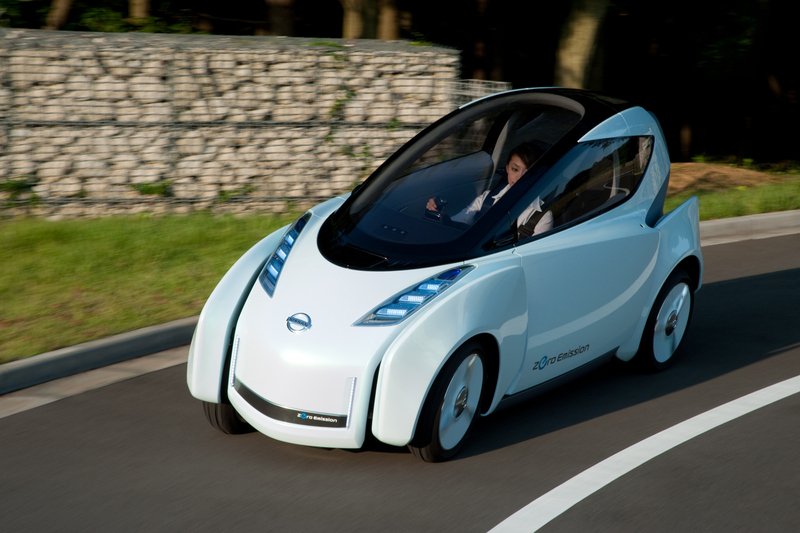 Nissan plans to debut the Land Glider, an ultra-compact, ultra-lightweight EV concept car for urban mobility. 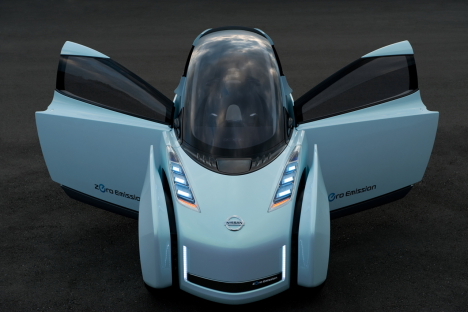 This fully electric two-seater has a narrow body designed to help reduce traffic congestion and make it easier to find a parking space. 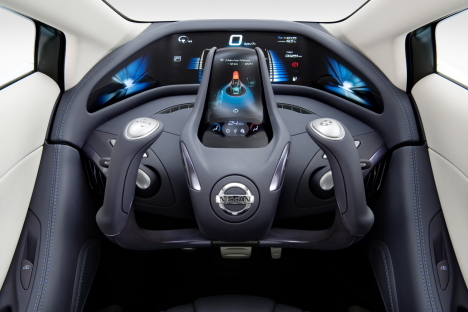 Inside the cockpit, the driver sits front and center behind a futuristic-looking instrument panel and a steering wheel that resembles a pair of joysticks. Nissan will also exhibit the Qazana concept car, a compact four-seater that made its world debut at the Geneva Motor Show in March 2009. 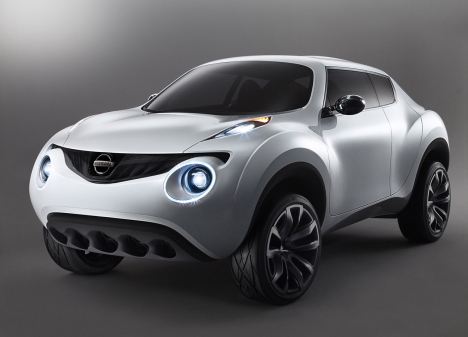 Designed for tough city streets, the all-wheel drive Qazana crossover is masculine, agile, lean and intelligent. 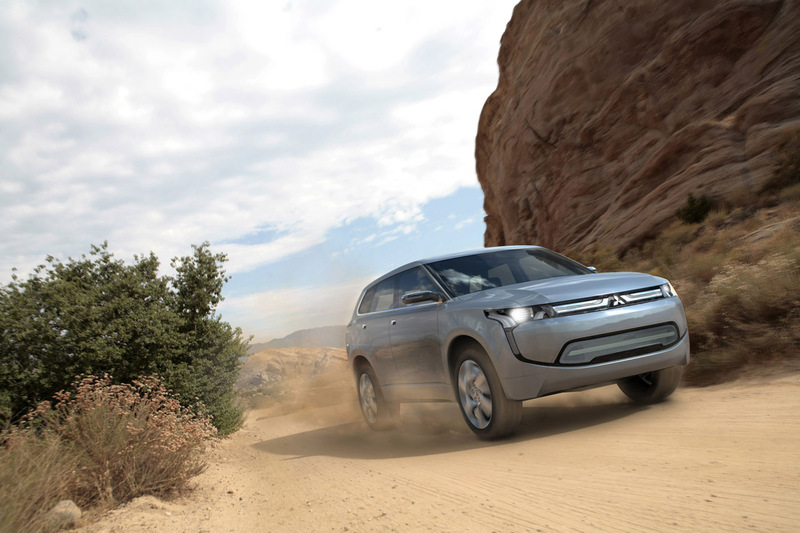 The five-door compact crossover combines sporty driving with environmental performance, and its exterior and interior are inspired by dune buggies and motorcycles. Billed as an environmentally-friendly grand touring car, the Subaru Hybrid Tourer Concept is a four-passenger hybrid vehicle equipped with gullwing doors for a sense of openness. Mitsubishi plans to exhibit the PX-MiEV concept, a plug-in hybrid crossover loaded with features designed to boost fuel efficiency and safety. 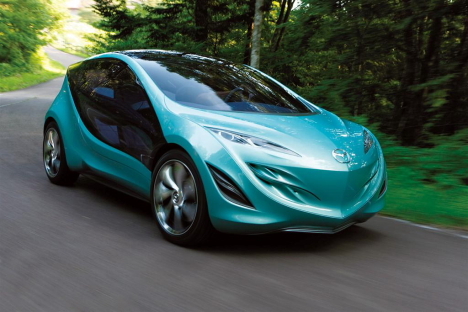 The PX-MiEV's front and rear wheels are powered by two permanent magnet synchronous motors, while a 1.6-liter gasoline engine powers the front wheels and works as a generator. 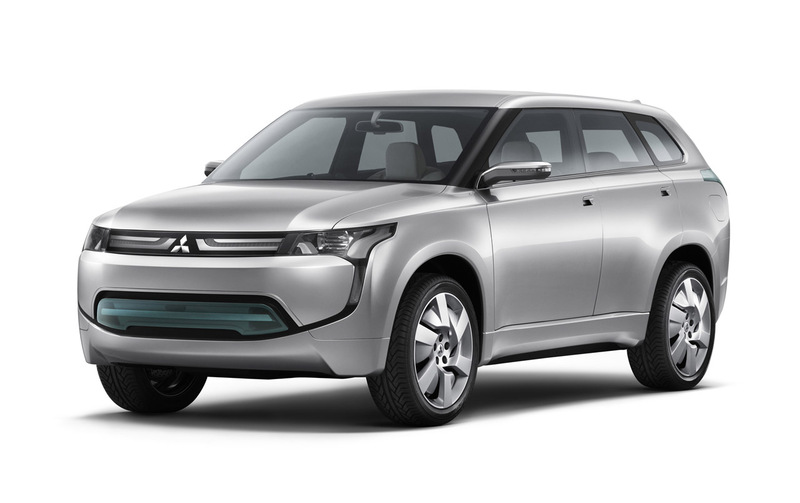 The vehicle's smart control system automatically switches between the various driving modes depending on the vehicle speed, battery level, and road conditions. A 3-way battery charging system allows the vehicle to be charged using either a 100-volt or a 200-volt domestic supply, or a high-power quick-charging station. 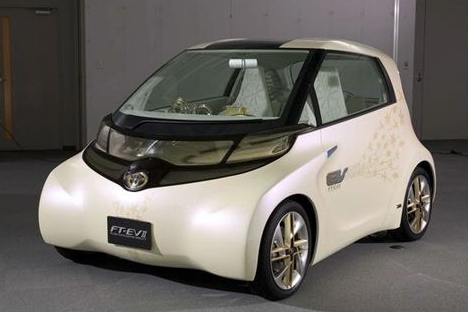 In addition to powering the motors, the battery can also supply electricity to user's home during the daytime when domestic power consumption is highest, and it can be used used as an emergency power source in the event of a natural disaster. Devices can also be plugged into the vehicle's 100-volt AC auxiliary socket in the rear luggage compartment. 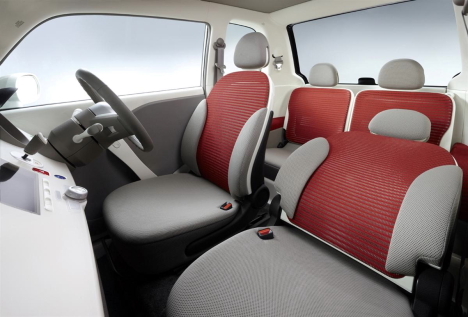 The PX-MiEV uses heat reflective glass and paint for a cool interior. Each of the four seats is equipped with an individual air conditioner, while a negative-ion aroma humidifier and oxygen enricher improve the comfort level and reduce fatigue. 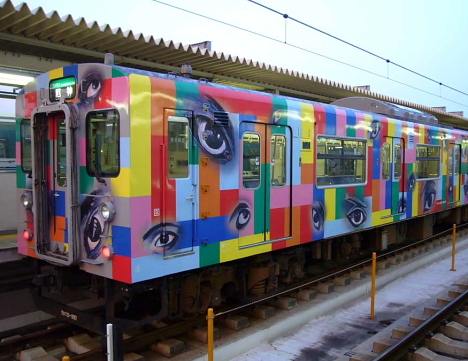 A few of Japan's more outlandish custom rides were featured on a recent episode of Sokon Tokoro. - A rather ordinary-looking BMW E66 whose trunk is decked with Buddhist sutras written in 30,000 Swarovski crystals (the owner, a Buddhist priest, also owns the next vehicle). - A Toyota Celsior UCF20 with gullwings, scissor doors and a split hood, which took 12 years to build and cost 10 million yen ($110,000). 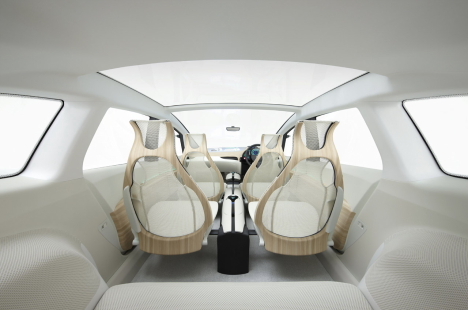 The interior includes 24 monitors, including several mounted in the headrests behind the passengers' heads (you can watch them with the eyes in the back of your head, according to the priest). 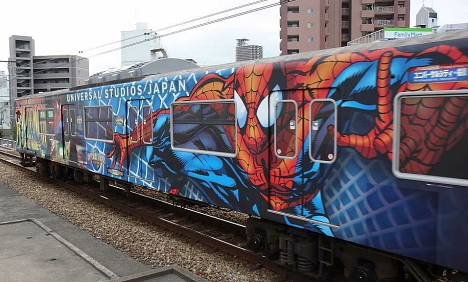 - Batman van, a rolling tribute to the superhero that cost 25 million yen ($280,000), took 13 years to complete, and earned the owner a divorce. 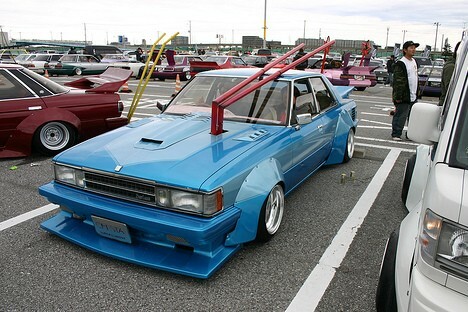 - Rocket launcher van, a 1981 Daihatsu Hijet outfitted with a cheap launcher for an 8-meter (26-ft) water rocket (the owner is an eggplant farmer). 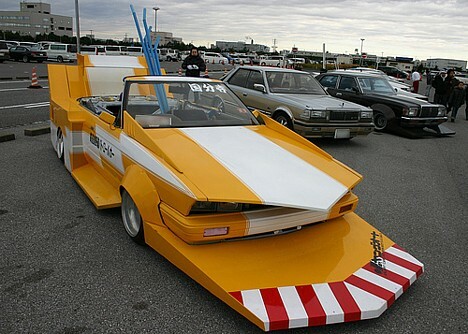 - Replica of the "Pointer," the famous battle vehicle used by the Earth Defense Force in the Ultra Seven TV series that aired on Japanese TV in the late 1960s. 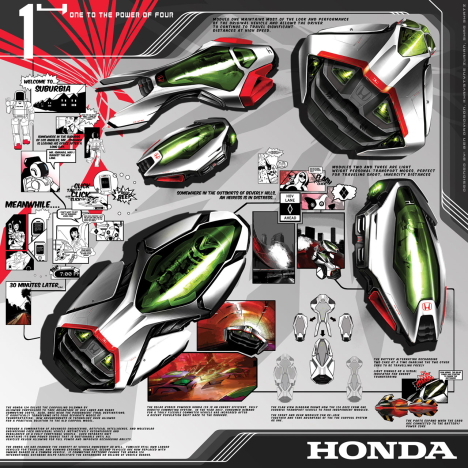 - Fan-flapping Hitachi ASTACO machine, which the Tokyo Fire Department Hyper Rescue Team uses to clear debris from disaster sites. 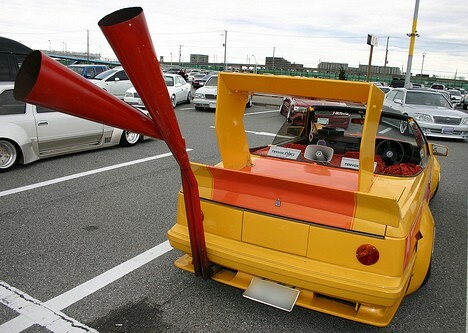 - Host George Tokoro's Subaru R1 disguised as a Ferrari. 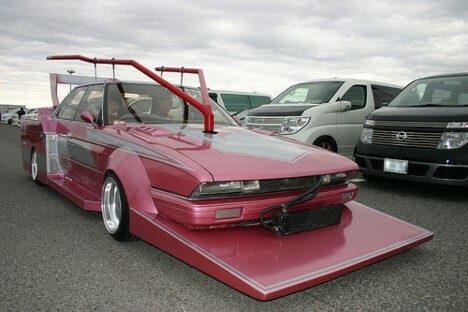 - A 1994 Cadillac limo lowrider with plush pink interior and 11-color paint job that took a year to complete and cost 10 million yen ($110,000). 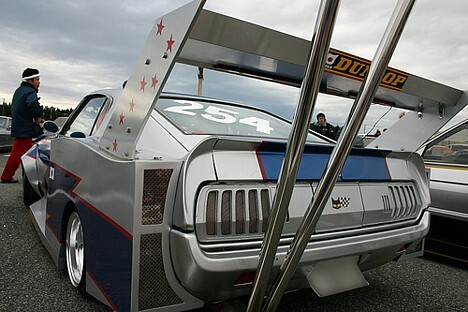 - "Tank" dragster powered by a 25,000-horsepower US military jet engine that spews a powerful, camera-melting flame. 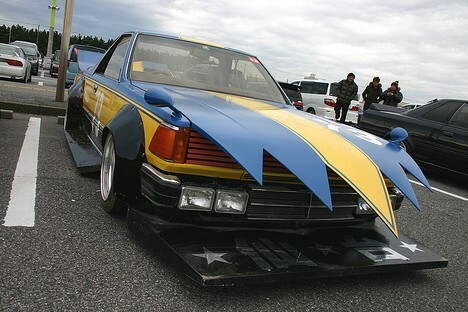 The dragster, which can reach speeds of 400 kph (250 mph), took 4 years to build and cost 40 million yen ($450,000). - T-REX super three-wheeler with a 1352cc Kawasaki ZZR1400 engine that can reach speeds of 230 kph (140 mph). 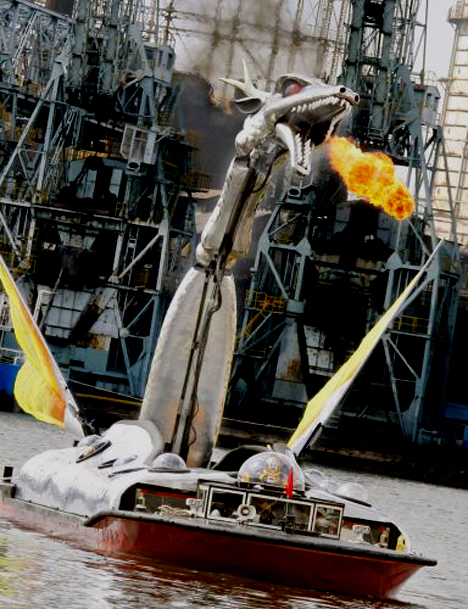 Post-apocalyptic artist Yanobe Kenji has constructed an animatronic fire-breathing dragon boat for the ongoing Aqua Metropolis festival in Osaka. 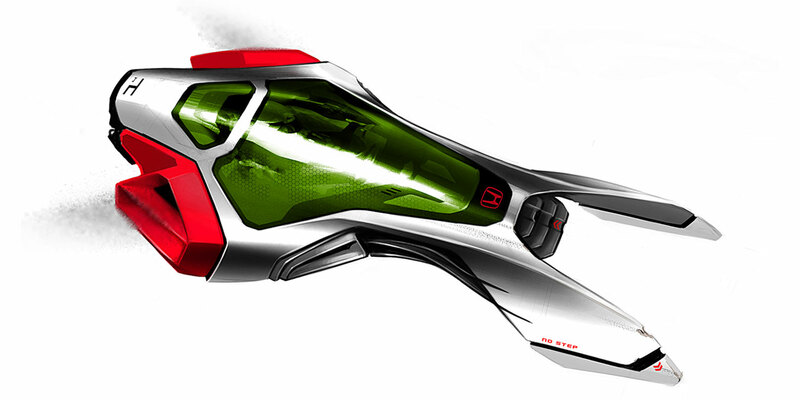 Named "Lucky Dragon," the 15-meter (49-ft) long aluminum cruise boat is outfitted with a 7-meter (23-ft) tall mechanical dragon that moves its neck and wings, spits fire and water, and flashes glowing red eyes. 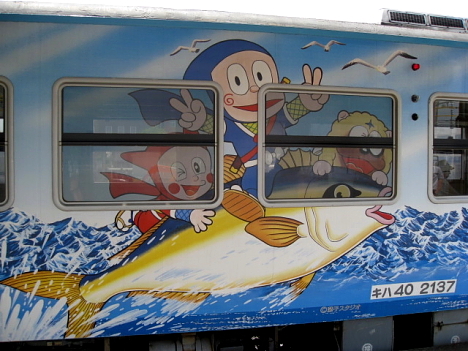 The boat is scheduled to entertain onlookers with periodic fire-breathing performances in the local waterways (Okawa river and Dotonbori canal) until October 12. 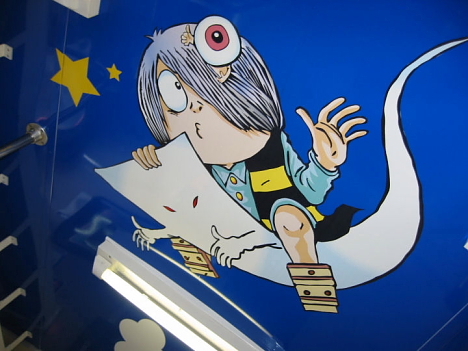 The vessel is named after the infamous Lucky Dragon No.5 (Daigo Fukuryu Maru), a Japanese fishing boat that was exposed to fallout from a US nuclear weapons test on Bikini Atoll in 1954. Yanobe, a native Osakan, hopes Lucky Dragon will encourage people to think about peace while sparking the local economy. 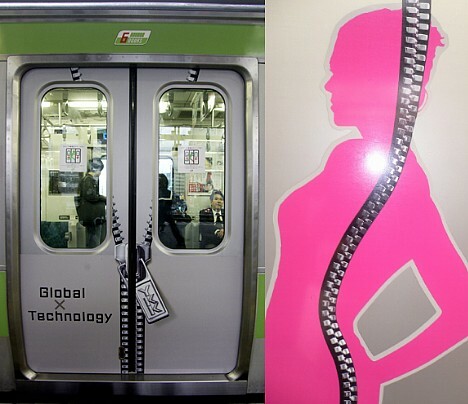 The video -- shot on the Rokko Liner in Kobe, Japan -- shows how paperclips on the floor react when the train accelerates and decelerates. 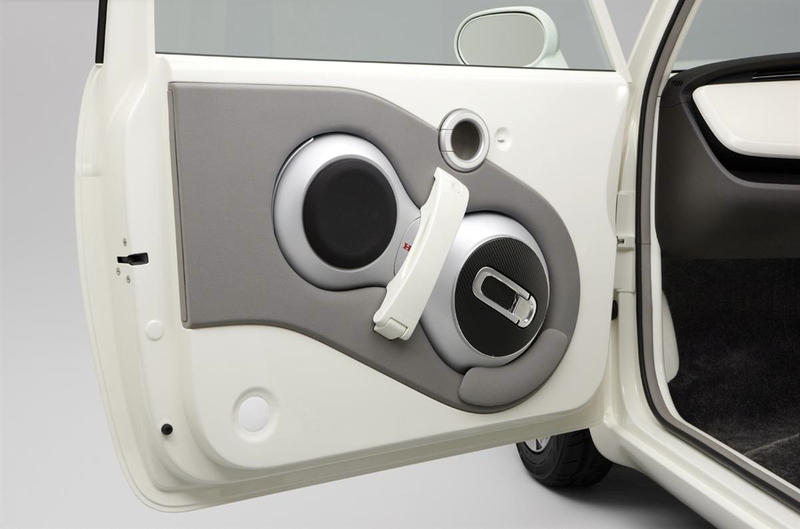 The magnetic pull, which is produced by the electric current that drives the motors located under the floor, apparently poses no harm to the human body, though it could damage credit cards, mobile phones, or other electronic devices if left on the floor. 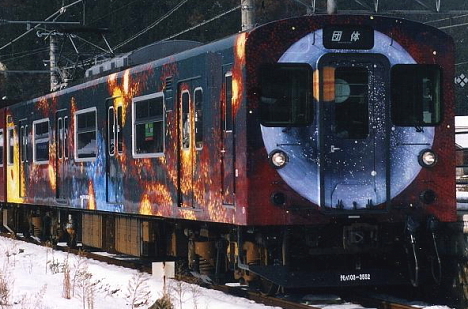 The Kobe New Transit Company, which operates the Rokko Liner (as well as the Port Liner, which uses similar trains), says extra shielding is being installed for good measure. 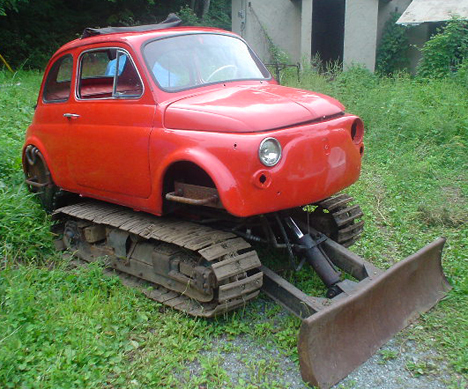 The Fiat Cinque Tank, a dream bulldozer custom-built by ironsmith Kogoro Kurata, consists of an old Fiat 500 body mounted on the caterpillar tracks of a cheap secondhand tractor. The farm machine can only reach a speed of 3 kilometers per hour, turning a trip to the nearest convenience store into a 2-hour adventure, according to Kurata. But the classic look of the cabin no doubt impresses the neighbors, and the working power shovel comes in handy when obstacles block the way. 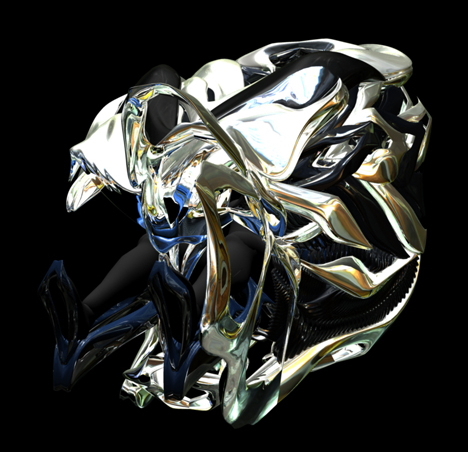 See Kurata's site for photos documenting the construction process: 1, 2, 3, 4. 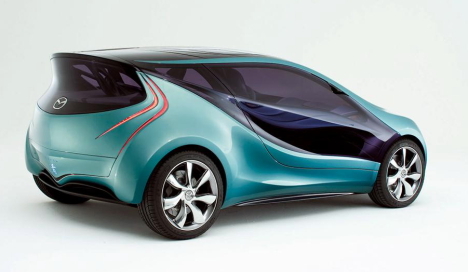 What will automobiles look like 50 years down the road? 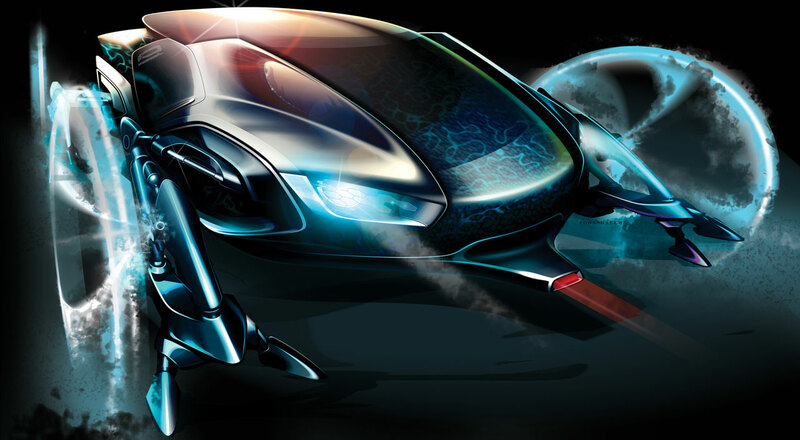 If they turn out to be anything like these concepts from the design studios of four major automakers, we are in for quite a ride. In Mazda's vision of the late 2050s, advances in molecular engineering have rendered metal-based manufacturing obsolete. The rise of ubiquitous computing and artificial intelligence drastically accelerates the automotive production cycle. Cars are cheap, lightweight (around 200 lbs, or less than 100 kg), and equipped with intelligent crash avoidance systems that eliminate traffic accidents. 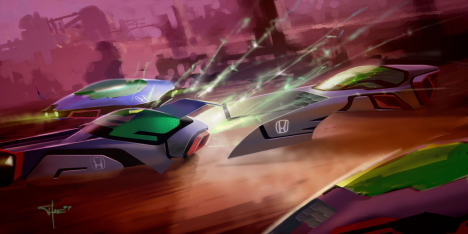 However, people still manage to get speeding tickets. 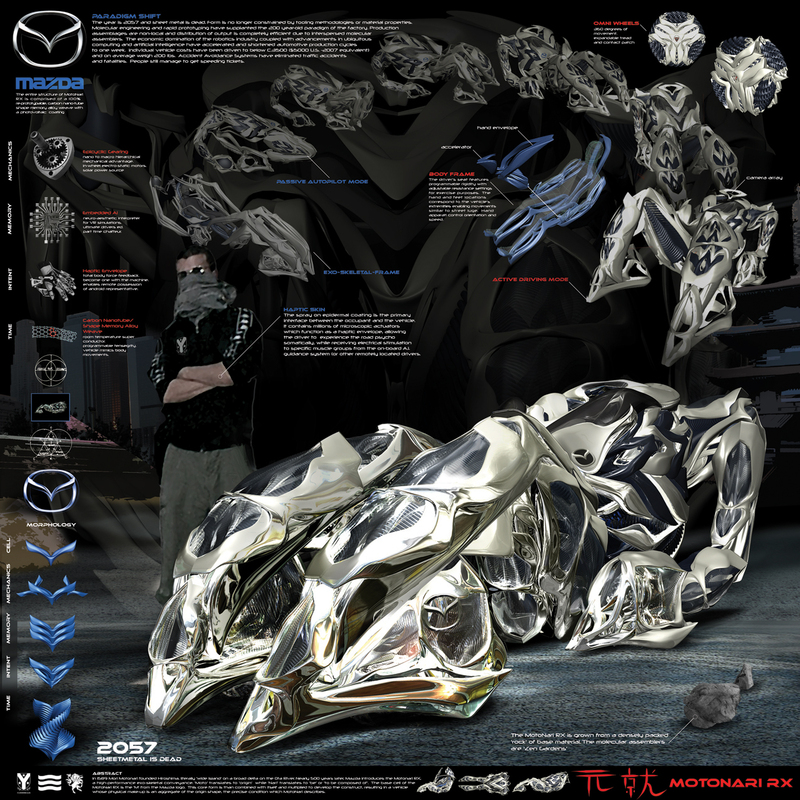 The Mazda Motonari RX -- which takes its name from the legendary Japanese warrior Mori Motonari -- interfaces seamlessly with the driver to function as an extension of the body. 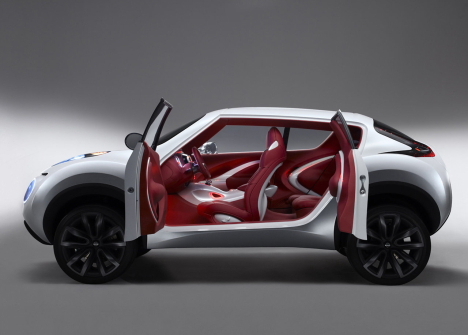 The vehicle drives sort of like a street luge. 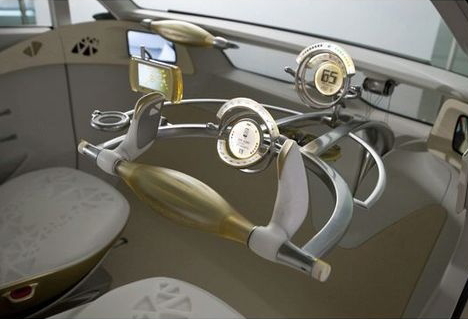 Acceleration and direction is determined by two armrest mounted control points, and the vehicle's exoskeletal frame shape-shifts in accordance with the position of the driver's arms and legs when enveloped in the seat. 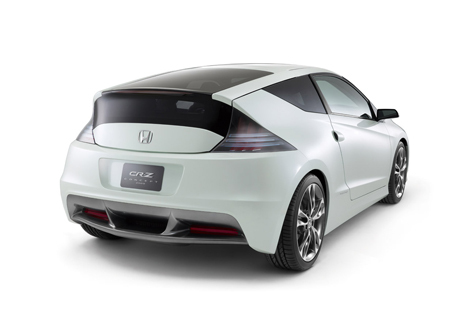 Four omnidirectional wheels allow 360 degrees of movement, and the tread expands or contracts to suit the driving conditions. 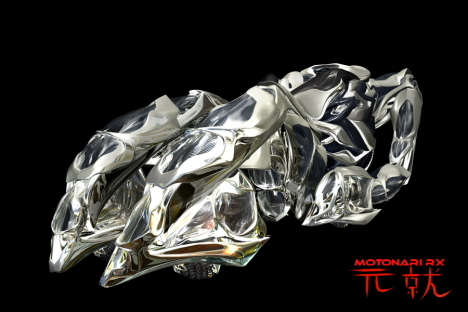 A "haptic skin" suit consisting of millions of microscopic actuators enables the driver to experience the road psycho-somatically while receiving electrical muscle stimulation from the onboard AI guidance system (or other remotely located drivers). In Toyota's vision of the late 2050s, cities have developed vertically due to limited area on the ground, leading the transportation industry to develop new vehicles capable of navigating vertical space. 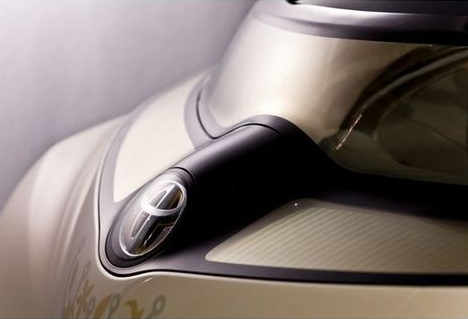 Toyota's Biomobile Mecha, a shape-shifting vehicle with nano-laser wheels, can read and adapt to changes in the environment and travel vertical pathways by means of biomimetic feet with powerful suction. 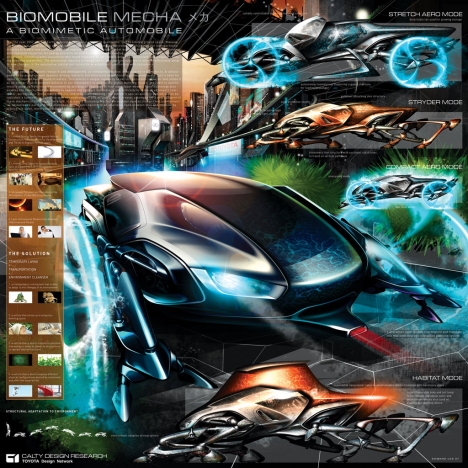 In addition, the Biomobile Mecha is powered by pollution. 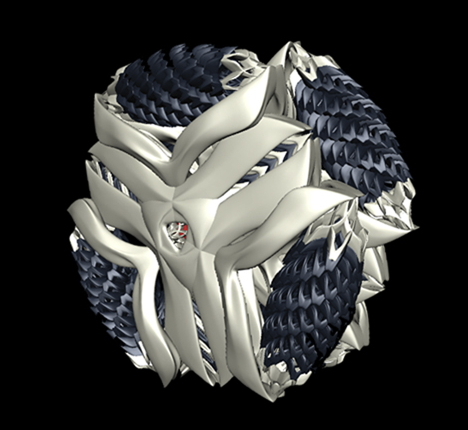 A special skin derives energy from harmful substances in the air, so the vehicle never runs out of fuel (as long as the future skies remain polluted) and restores balance to the environment while it goes. 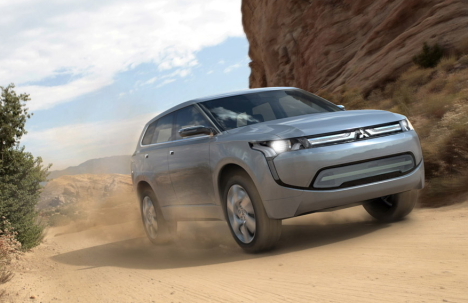 The real-time strategic navigation planning system, which reads the environment via a 3D scanner, gives the vehicle "instincts" that enable it to autonomously adapt to the driving environment. In Nissan's vision of the 2050s, robots have become an integral part of our lives, blurring the line between humans and machines. 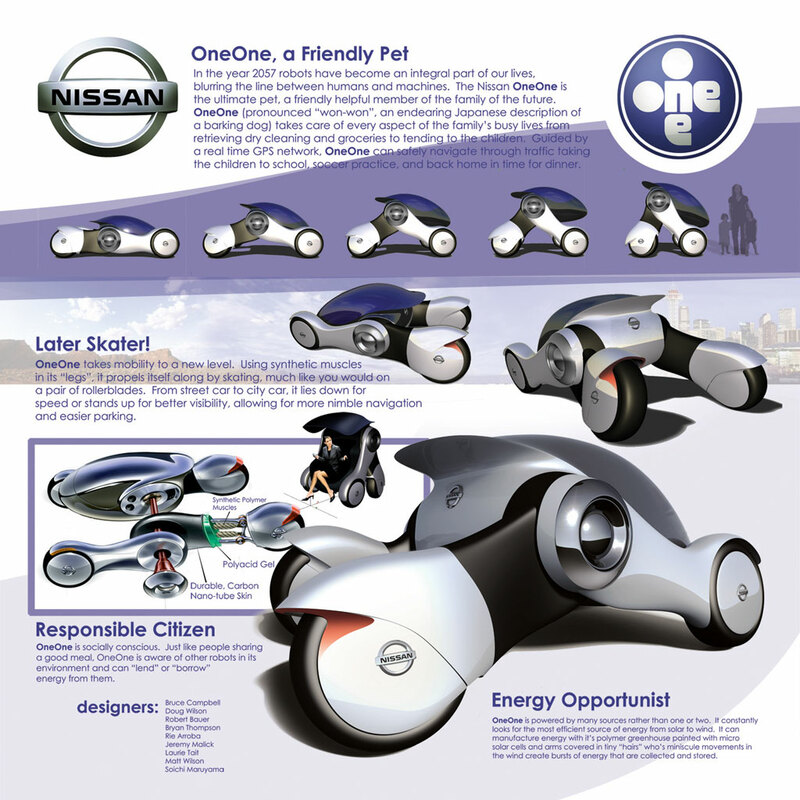 The Nissan OneOne combines personal mobility with the family robot concept. Billed as the ultimate pet, the Nissan OneOne (pronounced "wan-wan," the Japanese sound for a barking dog) is a friendly, helpful member of the family of the future. 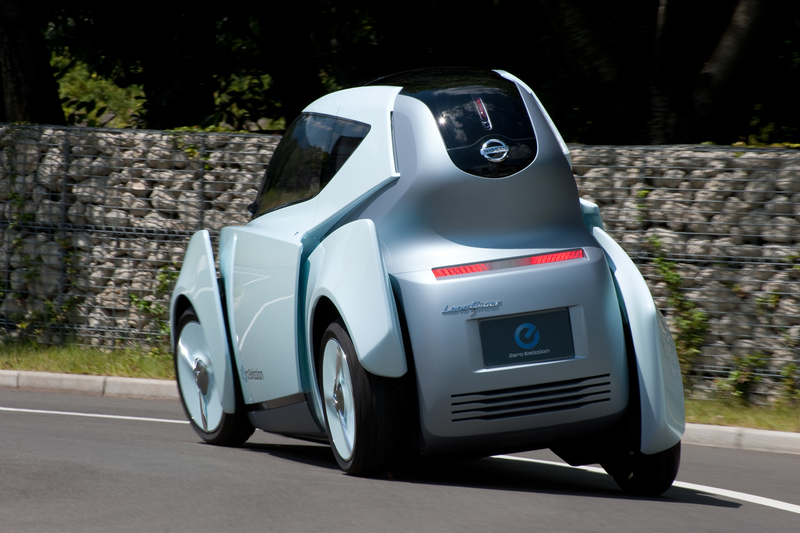 Able to operate autonomously without a driver, the GPS-guided vehicle can help out by picking up the dry cleaning, fetching the groceries, and taking the kids to school. 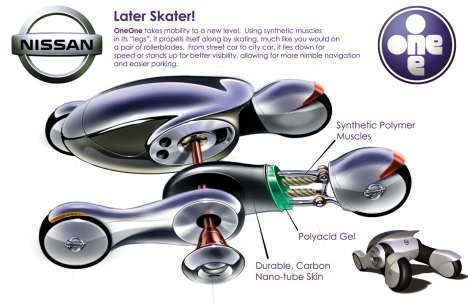 OneOne propels itself forward by flexing and relaxing synthetic polymer muscles in its "legs," much as you would if skating on roller blades. 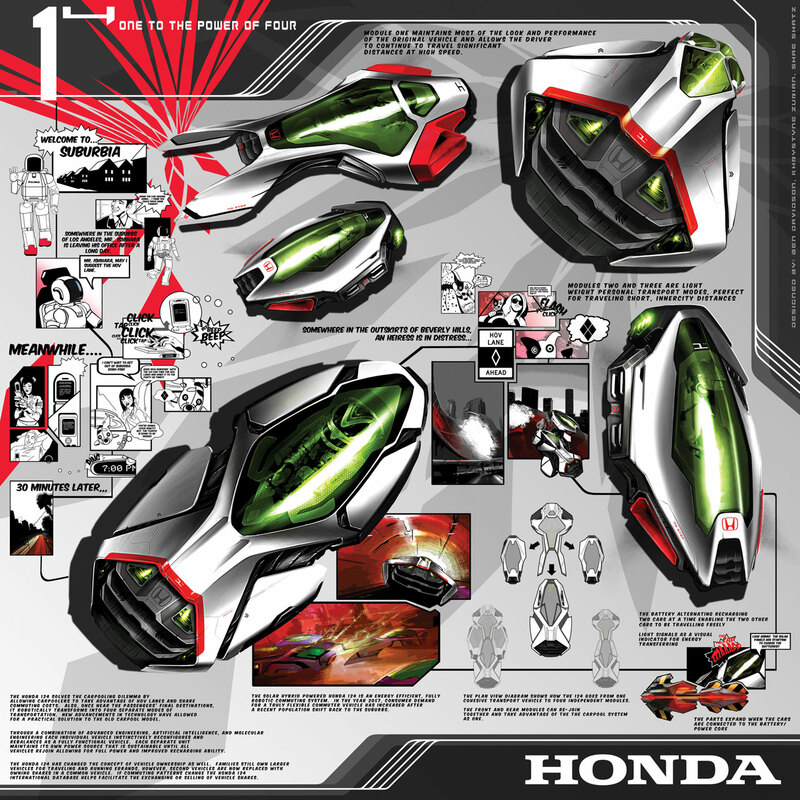 In Honda's vision of the 2050s, people have flocked back to the suburbs, fueling consumer demand for a truly flexible commuter vehicle. 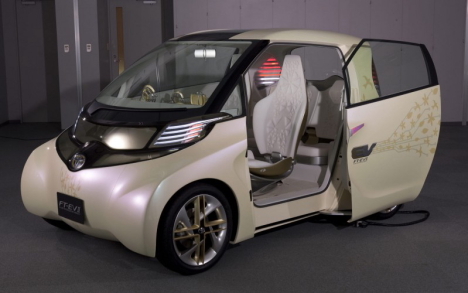 The solar-hybrid powered Honda 124 (One to the Power of Four) is an energy-efficient, modular vehicle that can separate into four different fully functional units, each uniquely suited for specific driving conditions. 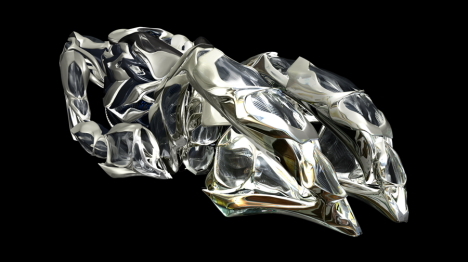 A combination of robotics, artificial intelligence and molecular engineering (which enables the body panels to be reshaped according to use) allow each module to instinctively reconfigure itself and operate as a fully functional unit. 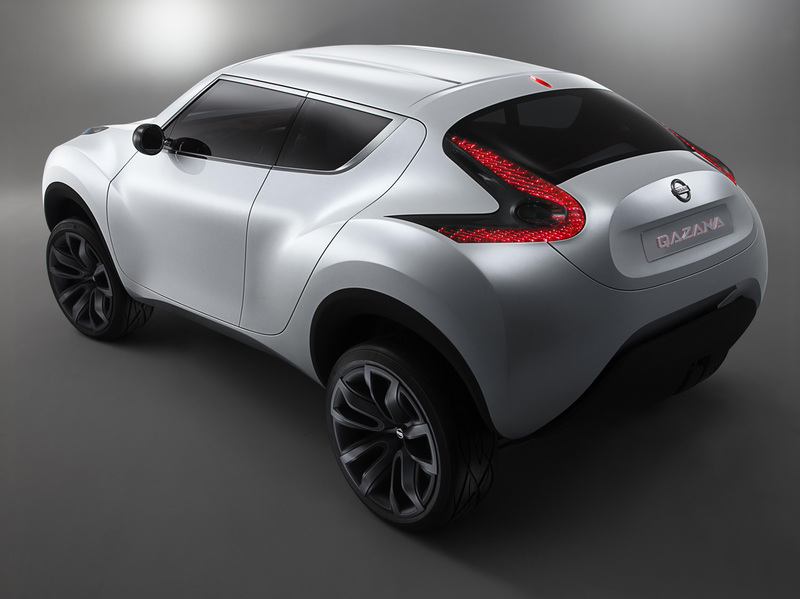 Two of the modules are suitable for short-distance inner-city driving, while the other two are ideal for longer distances at higher speeds. 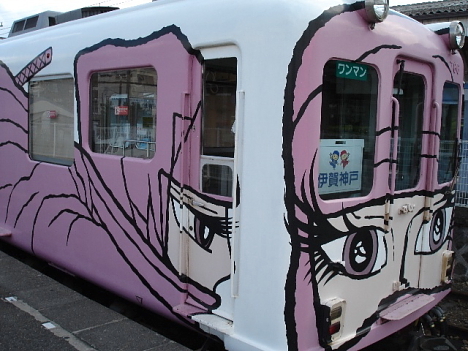 Of the countless trains running on Japan's 20,000-kilometer (12,000-mile) rail network, a few are decorated with images of anime and manga characters, colorful ads, and designs by notable artists. Here is a small sample. 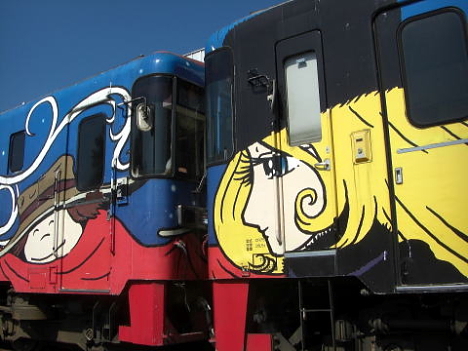 Characters from Leiji Matsumoto's "Galaxy Express 999" anime/manga adorn this train that used to run on the Furusato-Ginga line in Hokkaido. 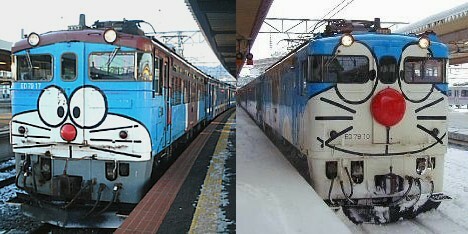 The train line closed down in 2006. 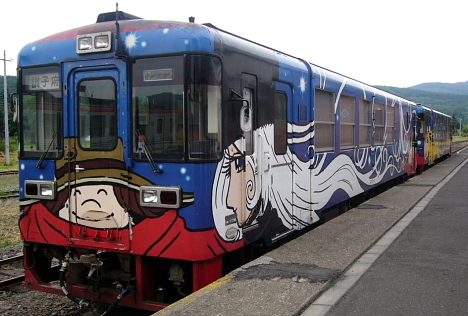 Matsumoto also created a series of ninja train designs for the Iga line in Mie prefecture, the birthplace of ninjutsu. 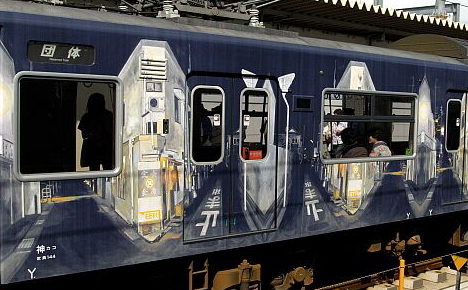 Some trains on the Kakogawa line in Hy?go prefecture feature designs by graphic artist Tadanori Yokoo. 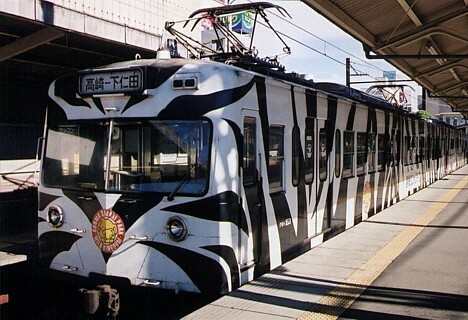 Yokoo was born in Hy?go. 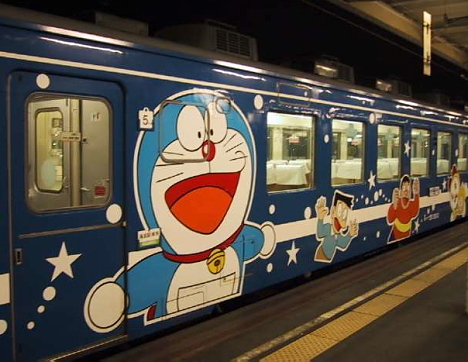 This Doraemon train runs back and forth through the Seikan Tunnel, an undersea railway connecting Honshu and Hokkaido. 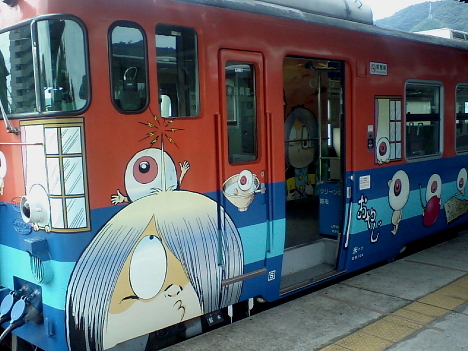 Trains on the Tottori line in Tottori prefecture are decorated with characters from Shigeru Mizuki's "GeGeGe no Kitar?" 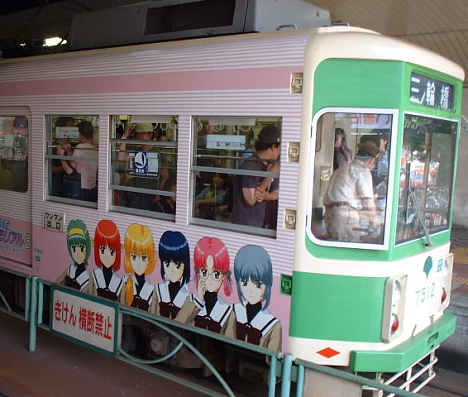 manga/anime series. 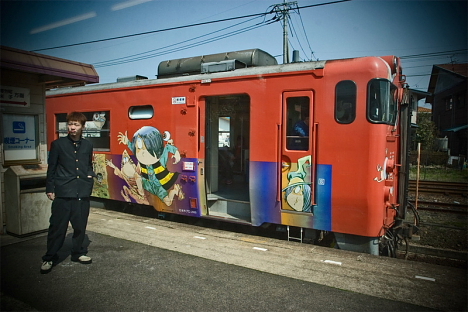 Mizuki was born in Tottori prefecture. 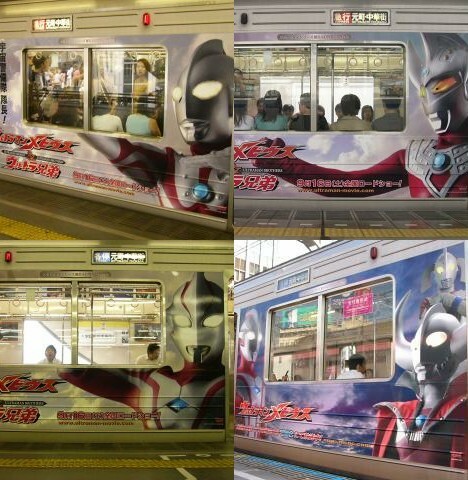 These trains on the Tokyu Toyoko line in Tokyo were decorated to commemorate Ultraman's 40th anniversary and promote a movie. 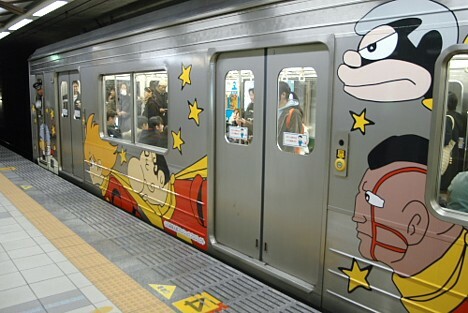 Miyagi prefecture is the birthplace of manga/anime artist Ishinomori Sh?tar?, whose works include Cyborg 009 and the Kamen Rider Series. 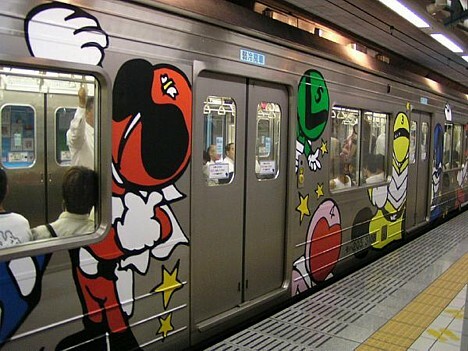 Some of his characters adorn trains on the Senseki line. 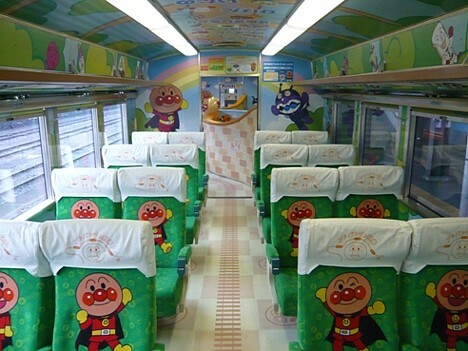 Yanase Takashi, creator of the Anpanman anime series, is from Kochi prefecture in Shikoku. 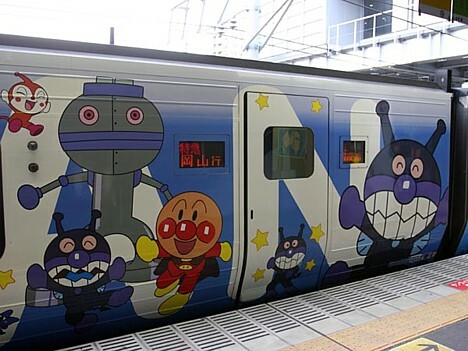 The JR Shikoku railway network operates some Anpanman-themed trains. 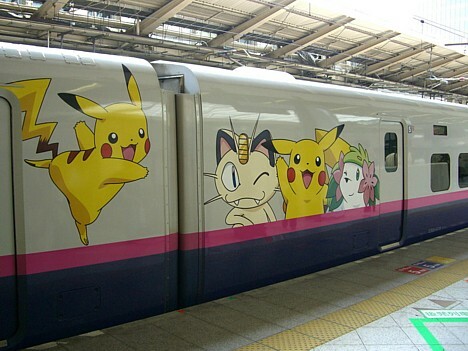 Japanese characters can occasionally be found on trains in other countries. 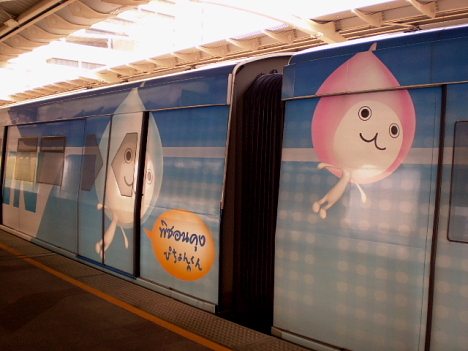 This photo shows Pichon-kun, the robot mascot of Japanese air-conditioning manufacturer Daikin, on the side of the Skytrain in Bangkok, Thailand. 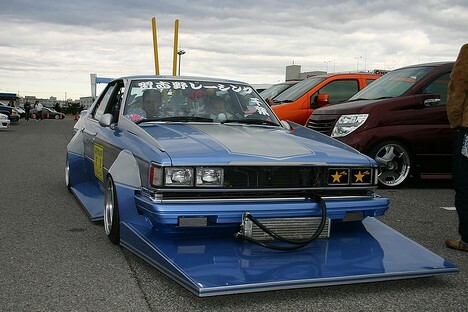 These ferociously awesome custom rides were spotted in a parking lot near Tokyo. 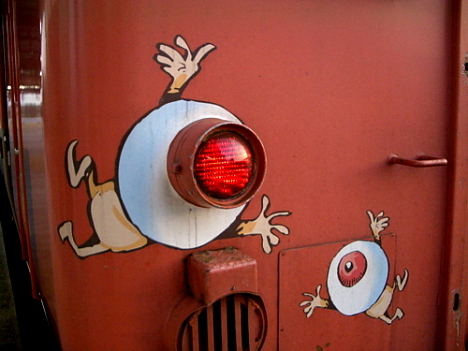 Check out photographer ch.knuckles' Flickr photoset for more. 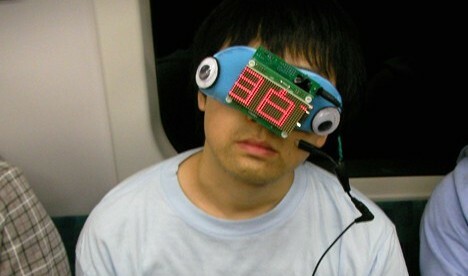 For drowsy train commuters afraid of sleeping past their stop, inventor and manga artist Pyocotan has developed "Noriko-san," a sleep mask with an electronic scrolling display that communicates the wearer's destination to fellow passengers. Noriko-san is designed to give sleepyheads greater peace of mind (and thus a deeper level of sleep) by increasing the odds that a stranger will wake them in time. 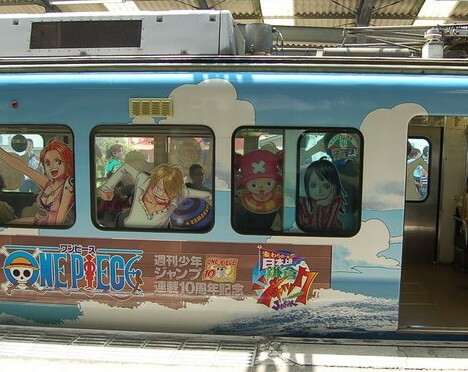 In theory, other passengers feel compelled to act either out of courtesy or simply so they can sit in the empty seat left behind. 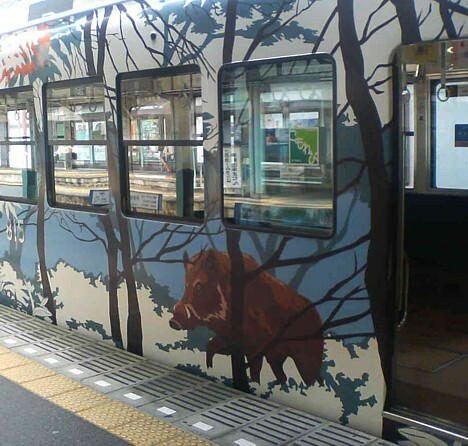 Here's a video of Pyocotan testing a prototype on Tokyo's Yamanote line. 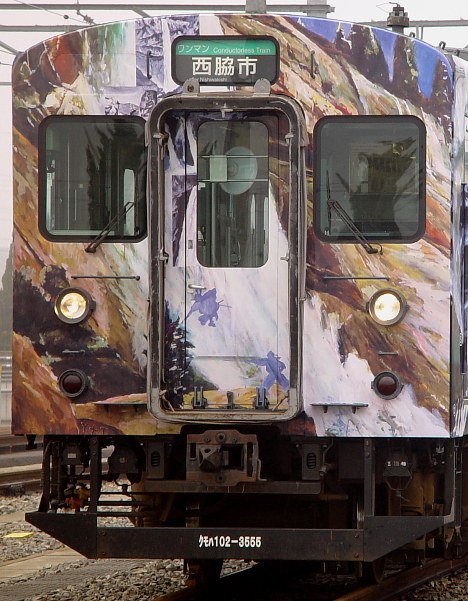 The video shows Pyocotan board the Yamanote line at Nishi-Nippori station. 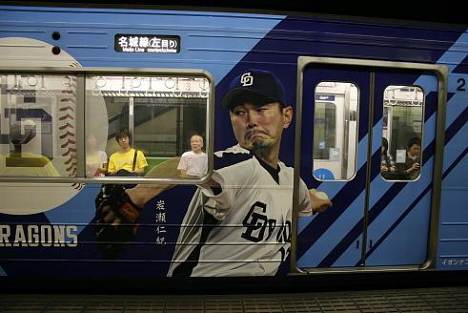 When a seat becomes available, he sits down, slips on the mask and goes to sleep. 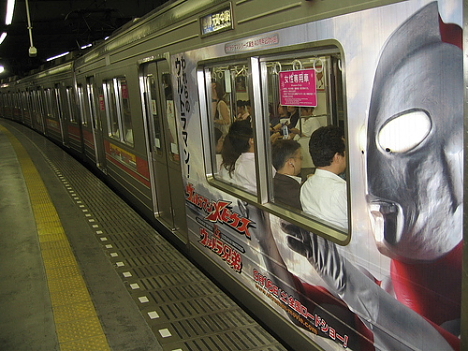 The mask's scrolling message reads: "I will get off at Mejiro station." 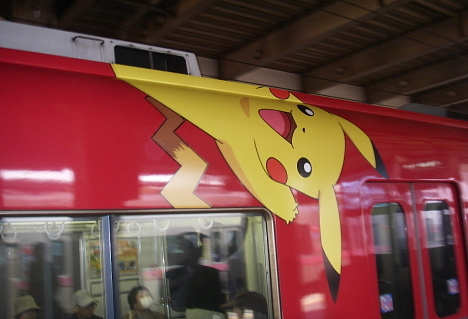 Unfortunately, nobody wakes him up when he arrives. The test fails. 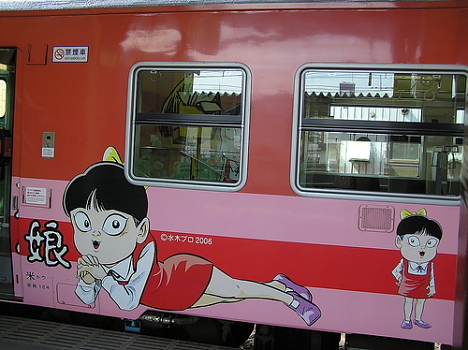 Pyocotan admits that Noriko-san is not 100% effective, perhaps because the unusual appearance makes other passengers feel uncomfortable and prevents them from acting. But the device will likely grow more effective as it becomes more widespread, he suggests. 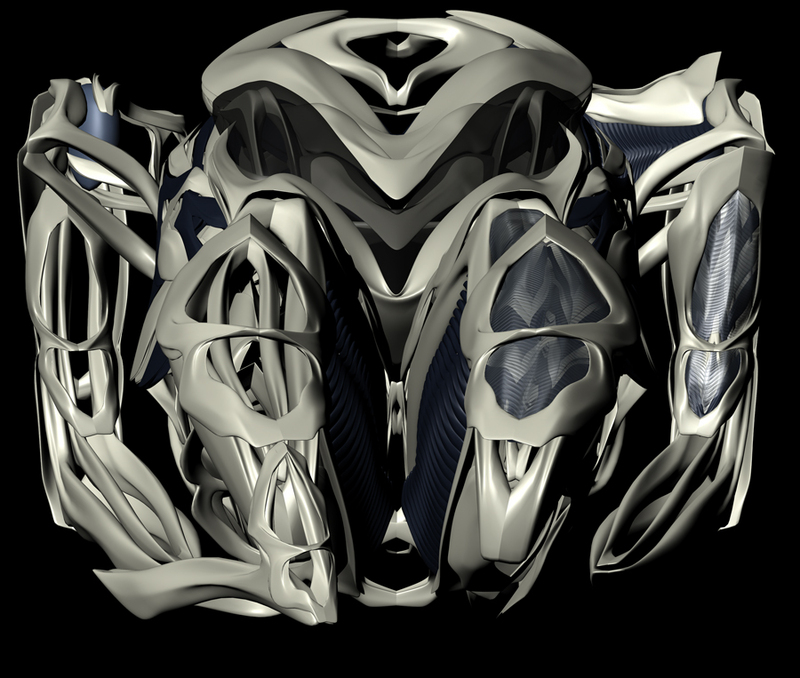 Until then, the fact that the mask might encourage others to act makes it a little easier for the user to relax and sleep more soundly. 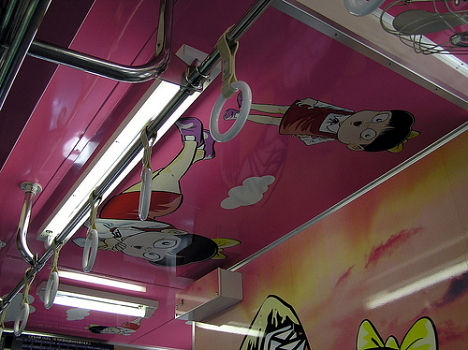 Noriko-san cost about 20,000 yen ($200) to develop.